In a fit of idealism, Ed Boland left a twenty-year career as a non-profit executive to teach in a tough New York City public high school. But his hopes quickly collided headlong with the appalling reality of his students’ lives and a hobbled education system unable to help them: Freddy runs a drug ring for his incarcerated brother; Nee-cole is homeschooled on the subway by her brilliant homeless mother; and Byron’s Ivy League dream is dashed because he is undocumented. In the end, Boland isn’t hoisted on his students’ shoulders and no one passes AP anything. This is no urban fairy tale of at-risk kids saved by a Hollywood hero, but a searing indictment of schools that claim to be progressive but still fail their students. 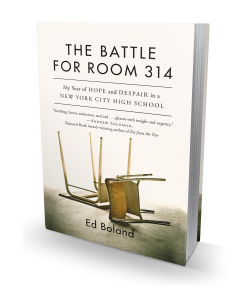 Told with compassion, humor, and a keen eye, Boland’s story is sure to ignite debate about the future of American education and attempts to reform it. Ed Boland has dedicated his entire professional life to nonprofit causes as a fundraiser and communications expert. He has worked for predominantly educational institutions but also for arts and social service organizations. 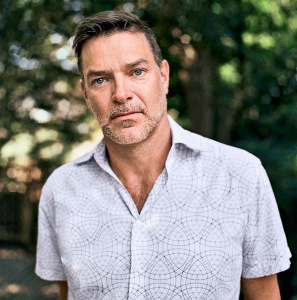 Boland was an Admissions Officer at his alma mater, Fordham, and later at Yale, and lived in China as a Princeton in Asia Fellow. He is now a senior administrator at the nation’s premier educational access program, which places gifted students of color at leading private schools. He lives in New York with his husband.